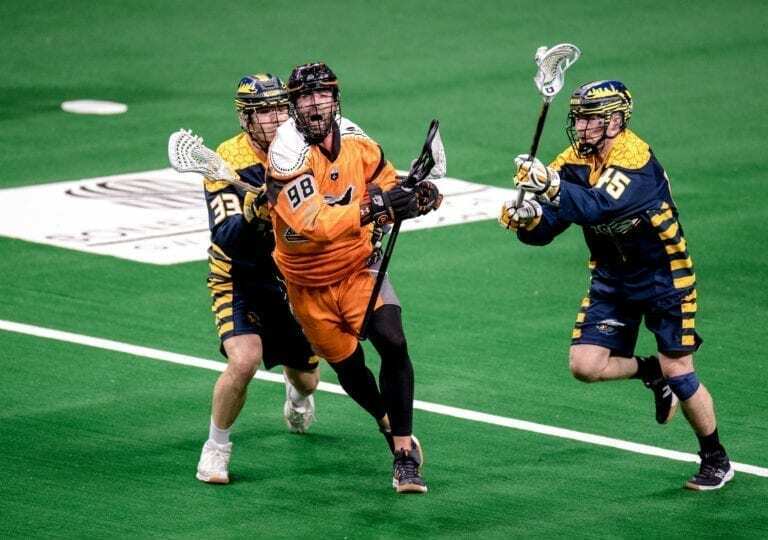 This weekend saw no major changes at the top of the Lacrosse All Stars NLL Power Rankings, as the Swarm remained No. 1 in the standings as they took down East Division foes New England and Rochester in back-to-back games. Toronto continued to stake its claim for the second spot (although only a single point separated them from tying Georgia for first) by downing the defending champions in the Saskatchewan Rush. Speaking of the Rush, an uncharacteristic skid sees them drop a spot to fourth, freeing up the No. 3 slot of the NLL Power Rankings for the surging Bandits. Both San Diego and New England stay at No. 5 and No. 6, respectively. That is despite San Diego having another bye-week this past weekend and New England losing a tight one to Georgia. Rounding out the bottom five of the NLL Power Rankings, Calgary jumped up one slot to No. 7 (supplanting the Knighthawks) following an incredible goaltending performance by Christian Del Bianco against Vancouver, and Philadelphia moved out of the basement (barely) to No. 10 by overcoming Rochester in OT 15-14 for their first win in franchise history. Colorado’s woes continue, and their 15-12 loss in Buffalo sees them take sole possession of last place. This coming weekend provides a showdown between two top-three squads, as Buffalo travels to Georgia in a game that will be sure to shake up the standings come next week. It’s yet to be seen if the Rush can return to the win column, but they’ll have a chance to do so this week when they take on division rival Calgary on Saturday night. San Diego finally returns to the turf in a packed weekend, facing both Vancouver and Toronto. 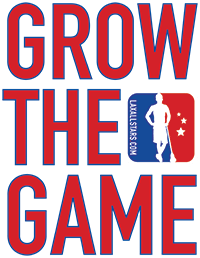 Check back next week for a breakdown of the action and another edition of Lacrosse All Stars NLL Power Rankings. Ira Thorpe Huff is Seneca, Hawk Clan, and was raised on the Tonawanda Seneca Nation near Buffalo, New York. He is a writer of short fiction and poetry, and when he isn’t writing, he coaches lacrosse. Specifically, he coaches for Earth Lacrosse, a program founded on the ideal of bringing the game back to its Haudenosaunee roots through nature awareness, cultural awareness and cultural expression. He received his BA in English & Textual Studies from Syracuse University and his MFA in Creative Writing from the Institute of American Indian Arts. He resides in Colorado Springs, Colorado.